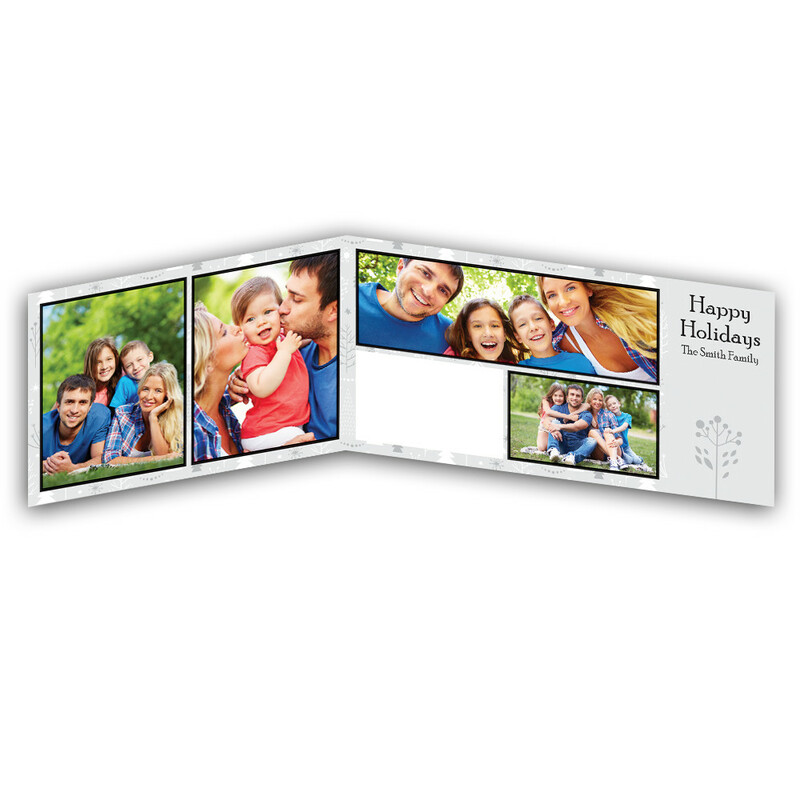 Remember those cherished moments with your family forever, by creating these personalized photo holiday cards to share and treasure. 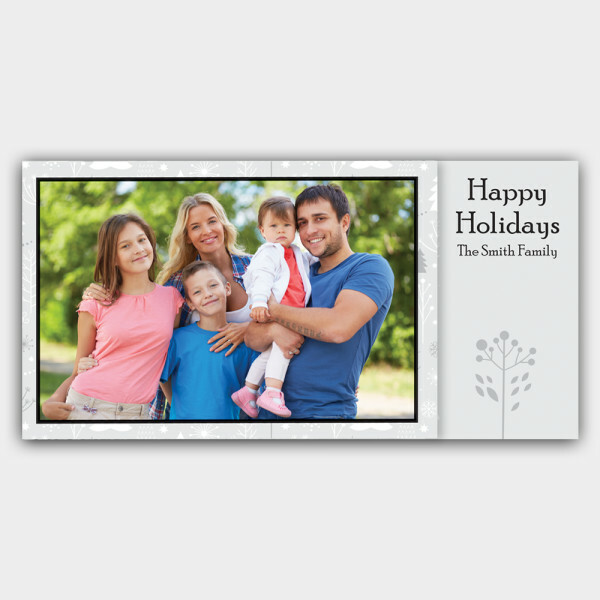 This is a simple, yet classic custom holiday photo card, to capture memories from the year past and send out wishes for the year to come. 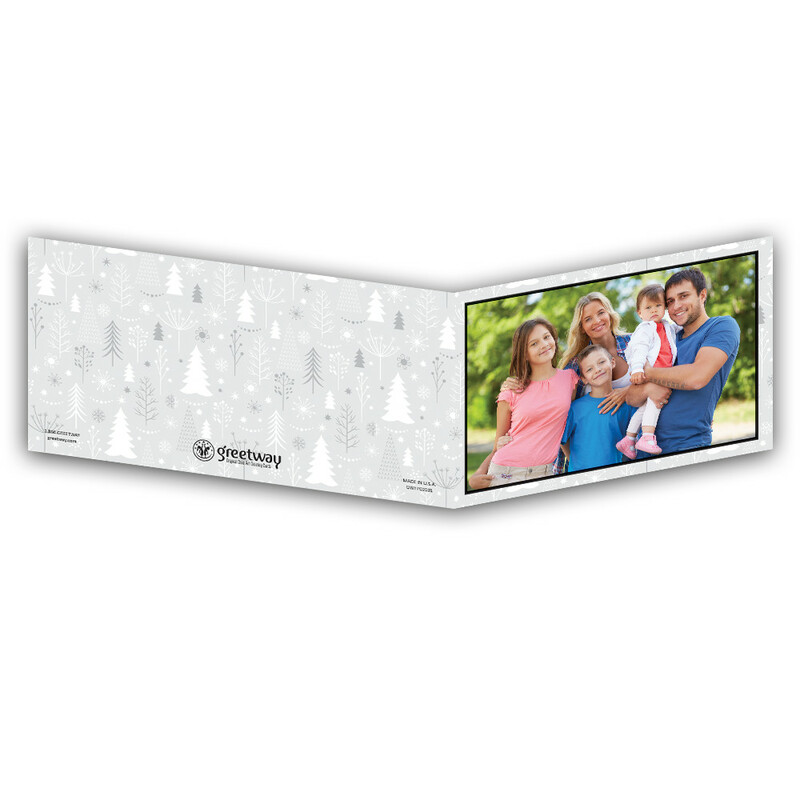 Choose up to six beautiful family pictures to share, all laid out against a soft grey background lined with festive trees. 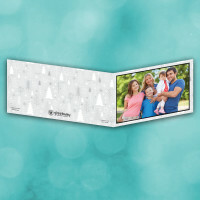 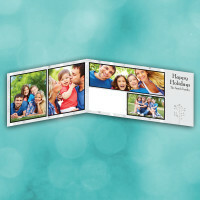 The front features a greeting from your family specifically, making this card unique and special.